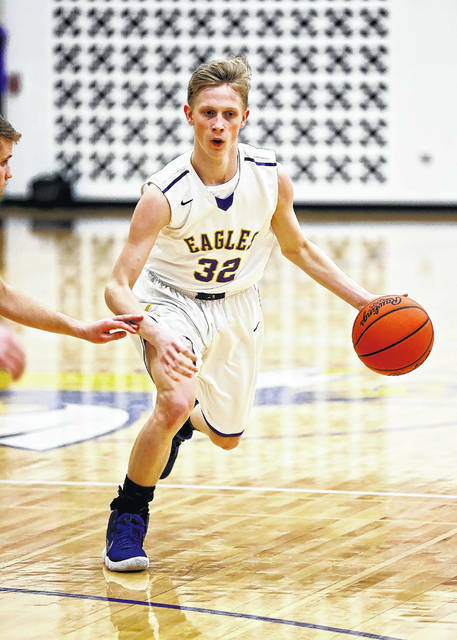 Eaton’s James Howard scored career-high 25 points during the Eagles game with Valley View on Monday, Jan. 29. Howard, driving to the basket during Eaton’s game the next night, also scored in double figures against Arcanum, in a 54-39 loss. EATON — Eaton boys’ basketball coach Alex Prater knew he needed someone to step up offensively going into a pair of games this past week, with senior and leading scorer Grant Sullender sidelined with an injury. He got that in the form of junior guard James Howard, but the Eagles were unable to come away with wins. 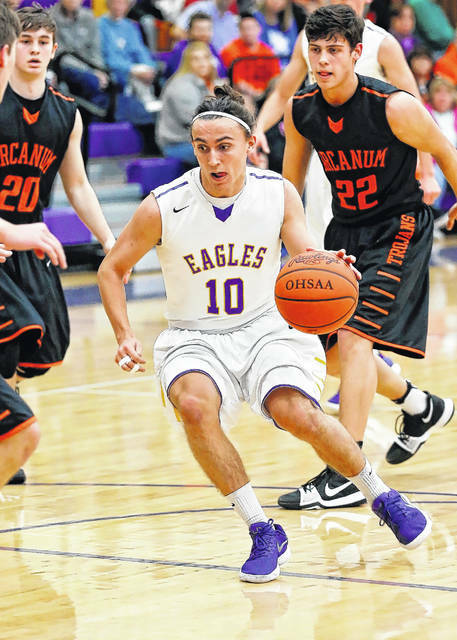 The Eagles dropped the first game of the week on Monday, Jan. 29, at home against Valley View. Eaton led throughout the first three quarters, but was outscored 31-18 in the final period, suffering a 70-68 loss. “James Howard stepped up and scored 25 points with our leading scorer (Grant Sullender) out due to injury,” Prater said. “Unfortunately, we committed way too many turnovers against Valley View’s pressure in the second half and it cost us a victory. Give credit to Valley View for continuing to play hard and forcing the issue, but we have to be able to play better in those situations. On the following night, Eaton hosted Arcanum in a non-SWBL matchup. Eaton, again, struggled offensively and dropped a 54-39 contest. Both teams struggled to put points on the scoreboard early in the game as the first quarter ended, 9-7. Arcanum got their offense on track midway through the second quarter and took a 24-14 lead into halftime. Eaton played the Trojans even in the second half, but could not make up the deficit. James Howard led the squad again with 14 points. Eaton (1-18, 0-9 SWBL) was scheduled to take on Valley View again on Tuesday, Feb. 6, this time on the road. They will then host Franklin on Friday. They will close out the regular season on the following Friday hosting Bellbrook. 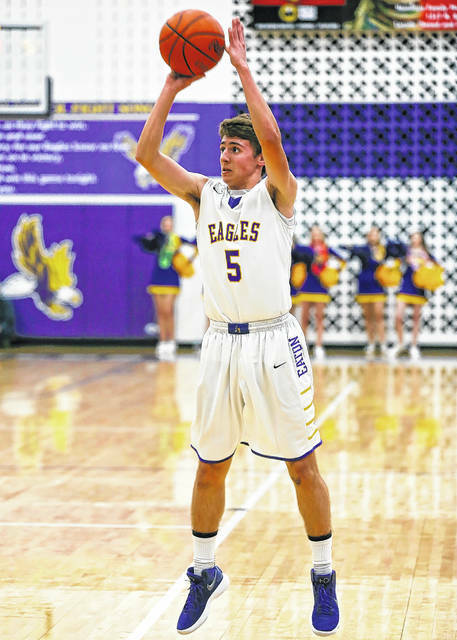 https://www.registerherald.com/wp-content/uploads/sites/41/2018/02/web1_EATON-BB-3.jpgEaton’s James Howard scored career-high 25 points during the Eagles game with Valley View on Monday, Jan. 29. 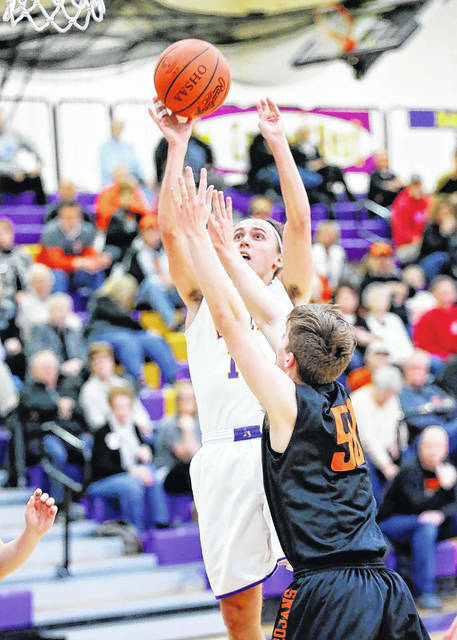 Howard, driving to the basket during Eaton’s game the next night, also scored in double figures against Arcanum, in a 54-39 loss.